The LMS market is heating up by the day for past many months now and it looks like it is going, more or less, as predicted by Bersin & Associates about 6 months back – The LMS market: hotter than ever. 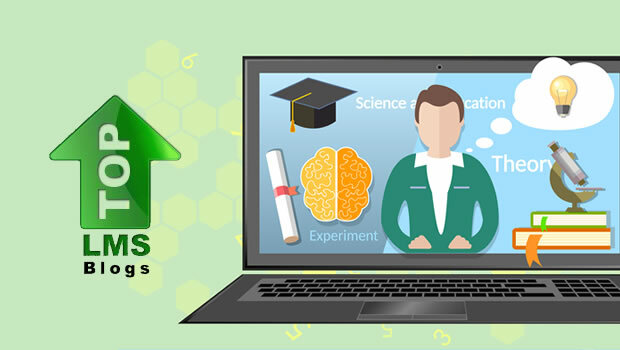 I have seen a significant increase in attention towards LMS both in terms of technology and also in terms of the end value being delivered by it to an organization, its end users (learners, instructors, and administrators). To keep up with the happenings, trends, innovations, and other information on LMS and to ensure our teams at Upside involved in core LMS development, client implementations, client support and Innovation team are in tune with the industry we follow a host of blogs that focus specifically on LMS, learning technology, and related topics. Initially when I started compiling this list I was hopeful of covering at least 15 blogs for LMS (and Learning technology). However I could not list more than 13 such blogs. Please submit blogs which you feel have a strong focus on LMS and learning technology and would be worth to add to this list of preferred blogs. I will come back and edit this post to add a few more blogs as I become aware of them. Cheers! Thanks for this list; there are a few I’d not heard of before … and thank you for including my blog as well; much appreciated. I’m honoured to be in such exalted company. Hi Sebastien, I will have a look at the blog very soon. Thanks for pointing me to it. I’d use a translate tool to look through. I am sure it would be included when I edit this post and add a few more blogs shortly. Thanks. Hi David, thank you for keeping your blog valuable consistently. I am sure many people find your blog of significance. Could you also add the TrainingForce Blog to your list? The site is http://www.trainingforce.com/blog. This blog discusses many things that apply to LMS and the training industry, worldwide. Thank-you for your consideration. You might want to check out IconLogic’s blog. It covers a pretty wide range of topics pertaining to the professional learning field including: Captivate, RoboHelp, FrameMaker, Camtasia, Acrobat and PowerPoint tips & tricks, Writing & Grammar for training pointers, and various articles about mLearning, eLearing and Social Media. Please check it out and add it to your list, thank you! This is a great list – thanks for putting it together! I will definitely have a look at all the blogs mentioned and come back and update my list shortly. Thank you all for pointing me to these blogs. You can’t be serious….All I can say is Wow…you left out many great industry blogs….please…this is a very suspect list to say they are the “top” anything……totally link bait…..who are you kidding really….its not even good link bait…. I am sure there are very good blogs which are out there that I am not aware of. As I said in my post this is the list of top 13 blogs I follow. In fact, I am keen, and would be happy, to extend this list with more names. If you could please share a few blogs for LMS (and learning technology) I will soon edit my post to extend the list. Amit — Thanks so much for the mention! There’s so much focus on LMSes these days that aLearning will be doing more posts on the topic. In fact, watch for an update in the next couple of days on the “LMS = Losing My Smile” post that got so much attention awhile back. Keep up the great work here at Upside Learning Solutions! Amit – thanks for such a useful list. Thanks Jeff. I will have a look shortly at the links you have provided. LMS-selection.com is now partially translated in english, including all LMS vendors interviews. here’s another blog for the list – concentrating on what is important when choosing your LMS to do the one thing it’s meant to – make staff better at their jobs. In the LMS space, I enjoy the blogs by DOTS (http://is.gd/rosS1h) and Xyleme (http://www.xyleme.com/blog/). @Gloria Goldstein – Wow, Amit left out many great industry blogs – but you can’t even name one. Helpful list. Thanks. Many sites are industry-specific. It would be helpful if that was identified on the list. Wonderful list. Keep it up. Would love for our blog to be added! great publish, very informative. I ponder why the opposite experts of this sector don’t realize this. You must proceed your writing. I’m confident, you’ve a huge readers’ base already! Excellent site you’ve got here.. It’s difficult to find good quality writing like yours these days. I seriously appreciate people like you! Take care!! You have made some good points there. I looked on the internet for additional information about the issue and found most people will go along with your views on this web site. We mostly post articles on eLearning and training in general. Thanks for share great list. I have a technology blog please add your list.